In Icod de los Vinos last week, a 44-year-old Chinese businessman was arrested for an industrial property offence. The man is said to have sold counterfeit branded goods in several shops, mainly clothes, bags, caps and purses. 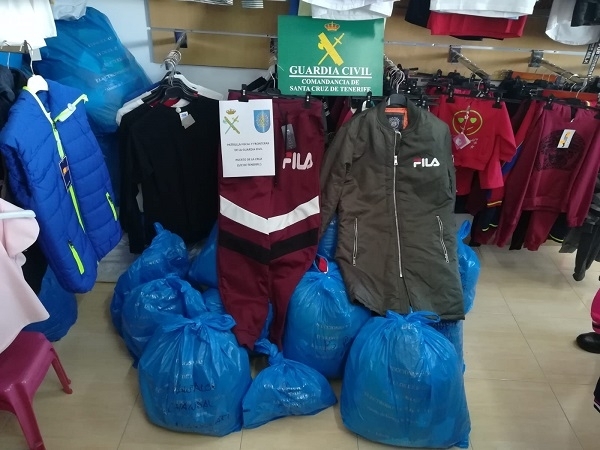 Guardia Civil officers as well as customs and tax officers seized 156 items of clothing. An expert in combating trademark piracy identified the seized goods as counterfeit and put the value at over €13,000. According to Article 274 of the Penal Code, offences of this kind are punishable by imprisonment of one to four years and a fine over 12 to 24 months. 09.02.2019 - In this context, the police call on citizens and consumers to report any suspicion that counterfeit branded goods are being sold in a shop. Information can also be provided anonymously via the e-mail santacruztenerife-pj-patrimonio@guardiacivil.org . Produced with news.CMS in 0,0715 seconds.